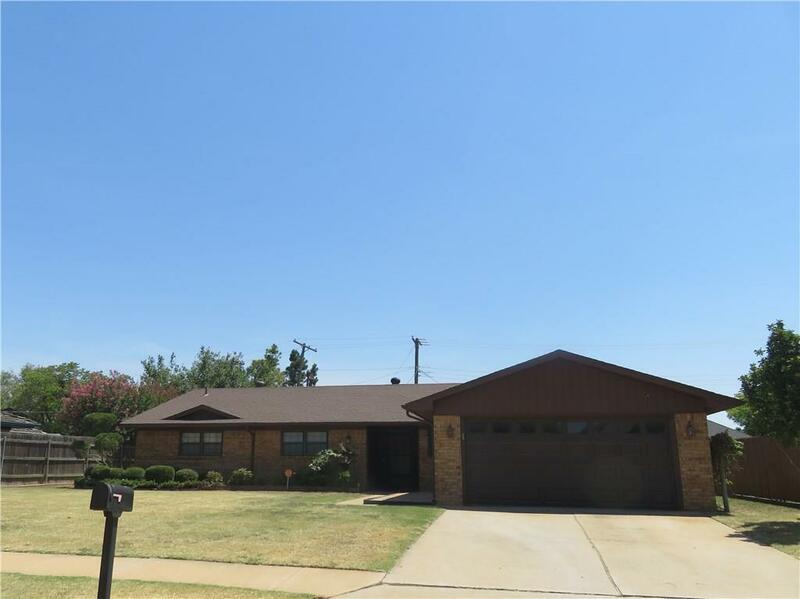 404 Comanche Trail, Altus, OK.| MLS# 824436 | CENTURY 21 Altus Prestige Realty, Inc.
New flooring in entire house, new carpet in all bedrooms & study & beautiful new wood look tile in all living room, 3 baths, hall, entry, sunroom, formal dining, kitchen & laundry room. Entire interior has new paint even the garage. Can be 4 bedrooms, 1 living & study/office/exercise or 3 bed & spacious 2 living & study/office/exercise. Sliding glass doors to sunroom/4th bedroom with 2 closets & the 3rd bath. Living has fireplace & built in shelves. Master has a lg walk in closet & ceiling fan. The master bath has his & her vanities, a large walk in tiled shower with built-in seat.. Kitchen has a window over the porcelain sink counter electric cook-top, electric oven, vent hood, eating bar, ceramic tile back-splash, dishwasher, garbage disposal, pantry. Formal dining has built in china cabinet. Hall has a large out of season closet. Laundry room with cabinets for additional storage. Garage door opener, fold down ladder to attic. Thermopane windows.Storage, fresh landscaping.